Gobabis is a city in eastern Namibia. It is the regional capital of the Omaheke Region, and the district capital of the Gobabis electoral constituency. 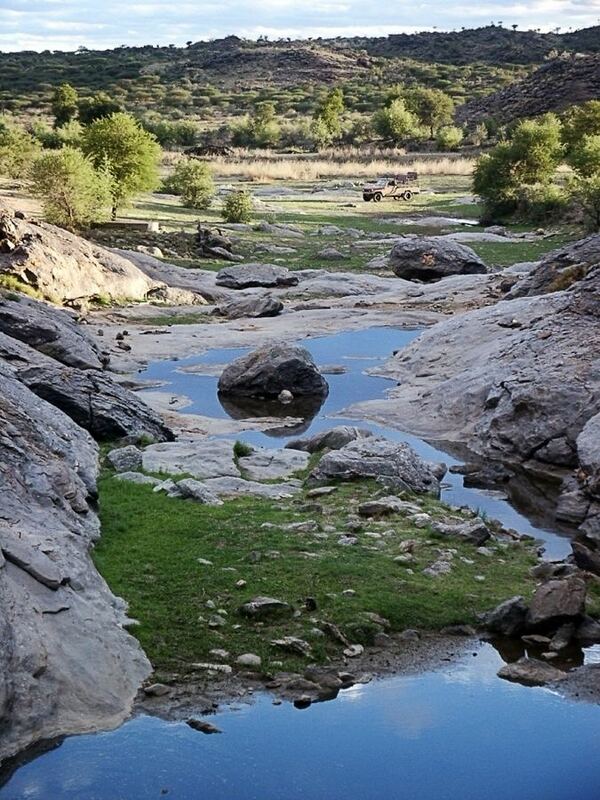 Gobabis is situated 200 km (120 mi) down the B6 motorway from Windhoek to Botswana. 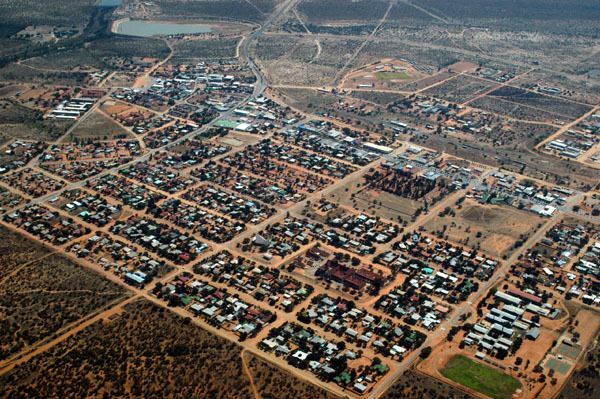 The town is 113 km (70 mi) from the Buitepos border post with Botswana, and serves as an important link to South Africa on the tarred Trans-Kalahari Highway. Gobabis is in the heart of the cattle farming area. In fact Gobabis is so proud of its cattle farming that a statue of a large Brahman bull with the inscription "Cattle Country" greets visitors to the town. 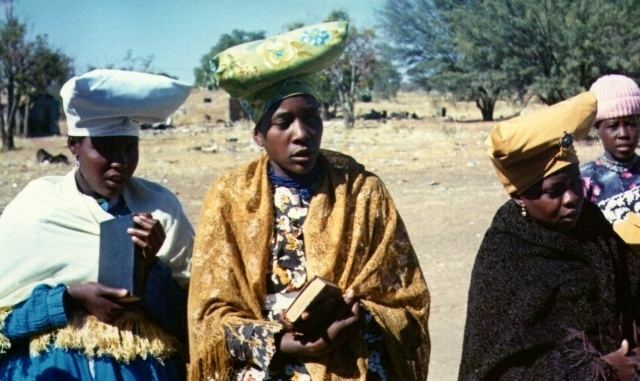 Gobabis borders the Kalahari Desert, and is traditionally in the land of the Herero people. According to oral tradition, the earliest name for the settlement in this area was the Khoekhoegowab word ?khoandabes, the place where the elephant came to lick. This reason for this name is speculated to be that elephant tusks that would crack in the dry and hot climate of the Omaheke were at times stored right in the settlements well. The Herero called the place Epako. Later the settlement was referred to as "Gobabis" by the Whites, this expression was likely derived from goba (argue, quarrel) and bis (place): The place where people quarreled. A common earlier interpretation of the name, ?khoa (Elephant) -bes (place), Elephant fountain, was introduced by Heinrich Vedder and gained wide acceptance. Vedder also opined that it was Amraal Lambert, Captain of the Kai?khauan (Khauas Nama) who called the place Gobabis because he could not pronounce ?Koabes. Apart from linguistic problems, this interpretation was contradicted by an 1845 letter by Reverend Joseph Tindall, a Wesleyan missionary, which states: "Reached Gobabis which I named Elephants fountain" - a place name like "Place of Altercation" would not bode too well for the missionary station he intended to establish. Gobabis continues to grow as a town due to goods being transported from the mines of landlocked Botswana to the Namibian port of Walvis Bay, and furthermore from consumer goods being imported into Namibia from Gauteng in South Africa. The transport route is known as the Trans-Kalahari Corridor. Gobabis is connected to the Namibian railway system. The passenger train that used to run to the capital Windhoek four times a week no longer takes passengers. The town hosts two hospitals, a clinic, banking and shopping facilities. Legare Stadium is located in the town.